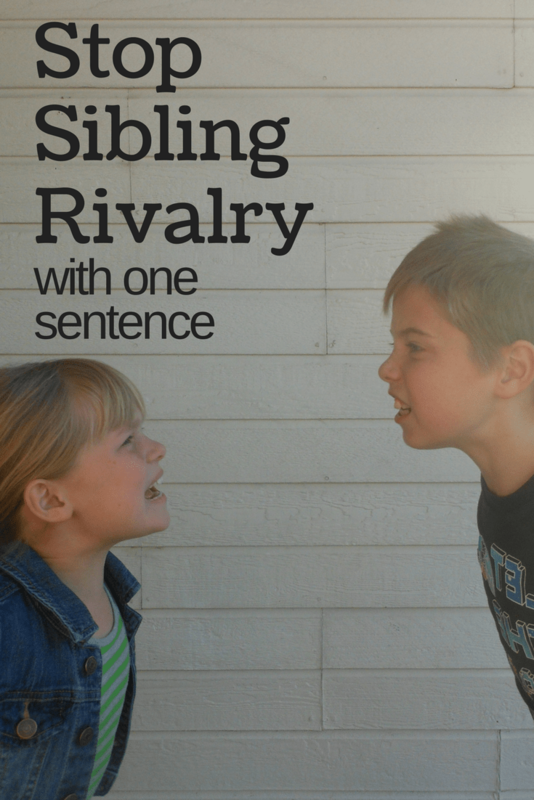 If there is one thing parents of multiple kids have in common… it’s the desire to know how to stop sibling rivalry. One day, while we were driving the kids, started bickering. The timing was funny so instead of getting irritated my response was light and in that moment I stumbled upon the perfect way to stop sibling rivalry. That was all it took. Within seconds Big M was apologizing and Little M was chatting about what they would do together when we got home. I’ve tested this theory a few times since then and it works like a charm every time. I try to find very specific examples if possible. When the kids start in on each other I’m quick to hear the “they are ALWAYS fighting” line run through my head. If I take a minute to think about it, I realize that isn’t really true. The truth is they get along much more than they don’t — the not getting along is just louder. It stands out. The reason complimenting their relationship is so effective is that it reminds them how lucky they are. It reminds them that they do like each other… most of the time. 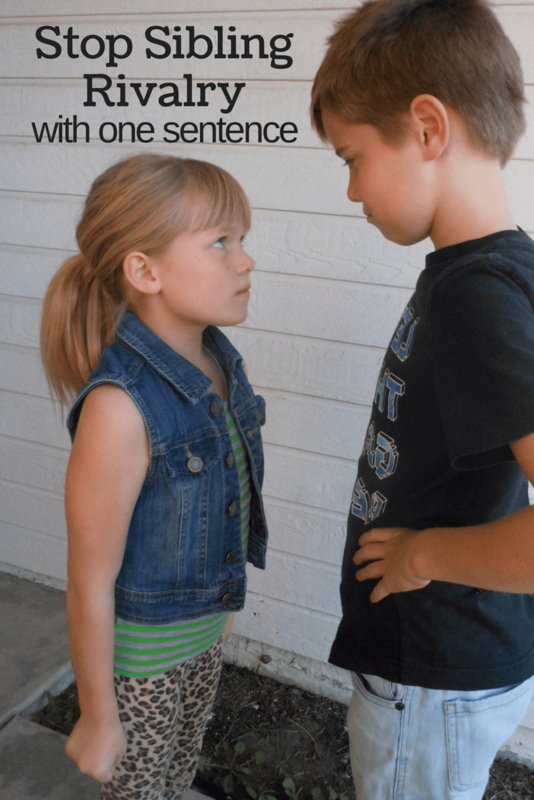 If you liked this sibling tip you will LOVE my very favorite parenting technique … conflict resolution for kids. The sibling relationship is the perfect place to learn how to be in a friendship. Your brother or sister is going to love you no matter what. They are going to still be there tomorrow… you get a second chance (and a third and a fourth). Teach them how to compromise, how to empathize and how to apologize. 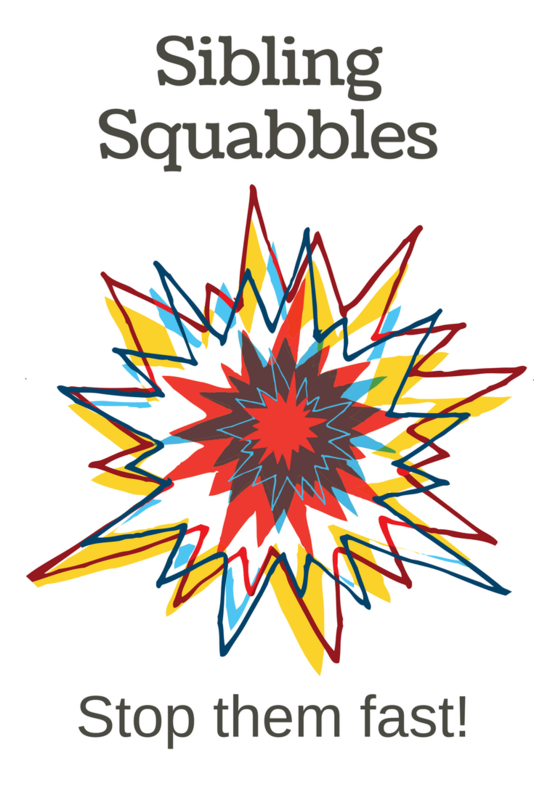 By using their squabbles as lessons you will be reducing the amount of squabbles that occur. Win-win! Make an intentional effort to notice anything positive. Then complement it. This will help you and your kids to see the bright spots of their relationship. Play games that require teamwork. Create a system for sharing that respects everyone involved. Be present but stay out of the middle. Support their connections as a bystander. If the problem is that one sibling doesn’t want to play right now, help them find the words to kindly say that. It’s always a good idea to read and learn many different techniques when looking to focus on a parenting goal. Here are some books to use in your journey to make those siblings good friends. 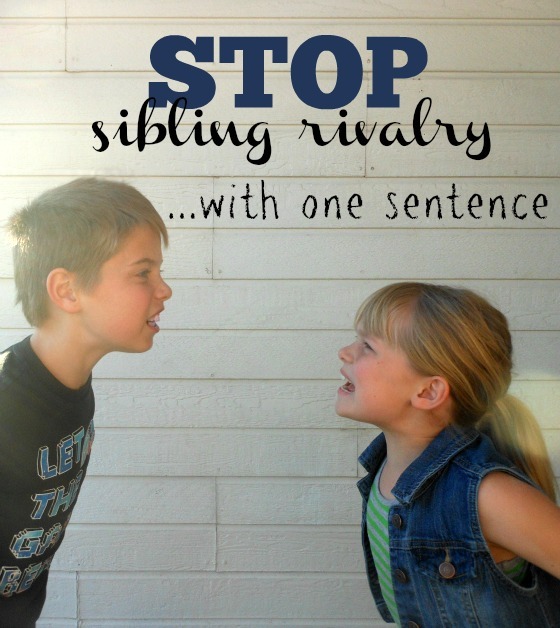 Now it’s your turn… how do you stop sibling rivalry? Love this idea. I’m going to try it next time I have all three grands in the car with me. One approach that worked for our family of three boys was to encourage each one to pursue one thing they were good at/ interested in that neither of the other two siblings did or wanted to do. So the first was keen as mustard on mountain biking, the second on in-line skating and the youngest on dance and drama. And even though they were all good at music, the eldest did cornet and guitar, the middle one played clarinet and saxophone and the youngest played drums. That way they all were able to shine in their own field and feel special, and not be in direct competition with either of their siblings. I love that Kate! What a cool way to give them individual space as well as a place to shine. I have stopped my kids from fighting by telling them, “fighting around me costs you $1 a minute.” They stop fighting almost immediately, and I stay calm as a clam.